You probably know that I adore the color pink in all shades and tones, but one of my favorite pinks is Flamingo! From retro lawn ornaments to elegant day dresses, flamingo pink offers a pop of fun color even on a rainy day. 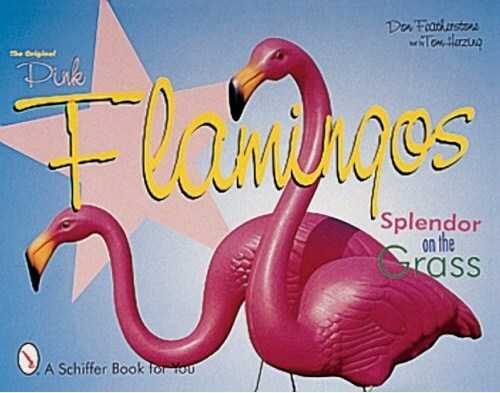 Flamingo lawn ornaments became all the rage in the 1950s and even won a Nobel Prize for art! Wouldn't this retro look be adorable for a pool area? Read about the history of the iconic flamingo lawn ornament in Don Featherstone's book, The Original Pink Flamingos: Splendor on the Grass. It's a fun, kitschy read and makes a cute addition to a coffee table in a sun room or patio. Lately, I've become a little bit obsessed with J. Crew's bubble necklace and would love to have one in every color. 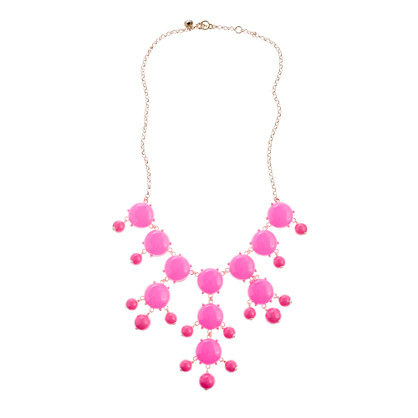 Azalea pink is included in the most recent collection of this statement necklace. 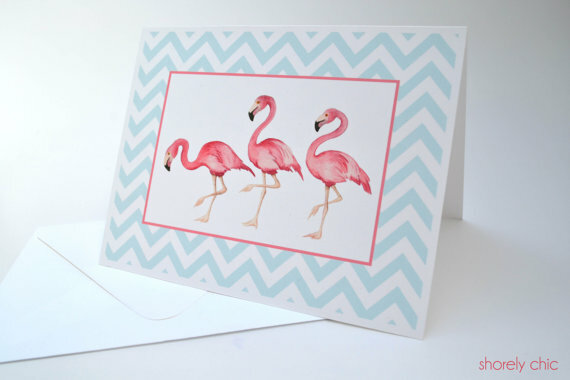 Share the flamingo love with a friend with these note cards. Flamingo + chevron = Fabulous! Fiestaware is one of my favorite things for the kitchen! The colors are so pretty and bright. The newest color in the collection is Flamingo. 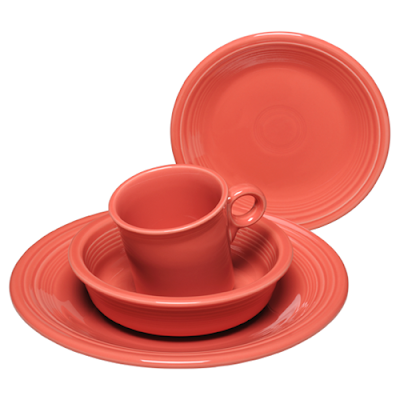 I think it would look great with Shamrock Fiestaware, don't you agree? Even if your decorating tastes are more beige than bold, this classic wool pillow adds whimsy to any decor. How can you pair flamingo pink? For a classic and neutral look, pair it with white or ivory. For a bold look, combine turquoise blue and green with flamingo pink. Many designers are inspired by flamingos, too. I love Lilly Pulitzer's flamingo inspired print, Peel and Eat. 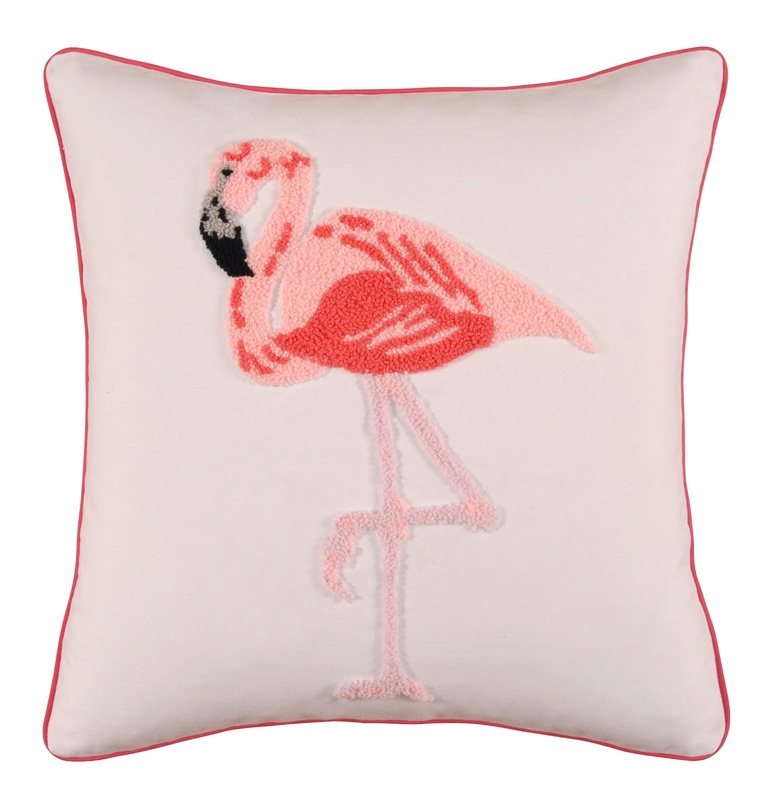 Elizabeth McKay's flamingo print from this spring's collection is still on my wish list, too. 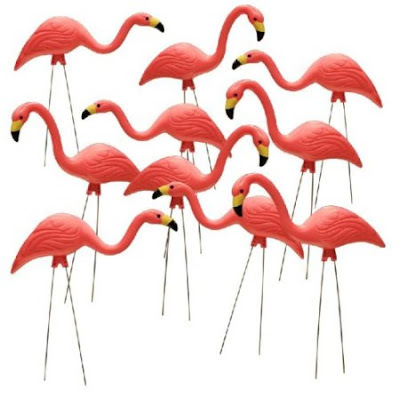 What is your favorite flamingo find? Oh my goodness where did you find that pillow??? The exact same one was in our room on our honeymoon! I'd love to have one for myself!! i love love love flamingos! i love flamingo glassware and finding it at thrift and antique stores! I love, love, love Flamingos! One of my favourite animals!